It's exactly a year since we published Audio Culture: Readings in Modern Music - a wonderful anthology of writings put together by Christoph Cox and Daniel Warner. And I thought maybe a few of you might not have stumbled across it yet. So, here it is. We've received many glowing reviews for the book, but my favourite is still this one, which was the first to appear. It's written by Dene Grigar, and was published in Leonardo. I was sitting in a North Texas bar with my copy of Audio Culture laying on the counter in front of me. A neatly-dressed man in his late 30s who had just come to the bar to buy a drink struck up a conversation with my companion and me while he waited for service. Eyeing the book, our conversation turned to its contents. "Was [Karlheinz] Stockhausen" included? (There are two essays by the composer.) Was there an essay about experimental music in the book? (There is a whole section devoted to experimental music.) Did it contain a good reference section? (There are seven different sections.) Picking up the book, he thumbed through its pages. I watched him scan the various essays. Then, he took out his pen and jotted down the ISBN number. An aspiring electronic musician, he said he had been looking for a book "like this one" to read. I tell this story because it illustrates the kind of reaction many readers will have toward Christoph Cox and Daniel Warner’s Audio Culture. I, for one, annotated the book severely, marking it up in various color of highlighters and pens and dog-earring its pages––so much of what it offers is vital to my work and those articles that are not fascinated me, nonetheless. To be honest, no one looking at the collection of 57 well-chosen essays written by some of the biggest names in music and reprinted from books and publications well-noted for their contribution to music theory will be able to resist reading and buying the book. In fact, there is just so much that makes this book valuable that it is difficult to name them all. Both the content and the structure of Audio Culture add to its strength. Essays by futurist Luigi Russolo, musician Edgard Varèse, theorist Marshall McLuhan, several by Brian Eno, Pauline Oliveros, Glenn Gould, Umberto Eco, several by John Cage, artist László Moholy-Nagy, and, of course, Stockhausen are among the many eclectic readings included in the book. Some of the most interesting essays come from Mary Russo and Daniel Warner ("Rough Music, Futurism, and Postpunk Industrial Noise Bands"), Simon Reynolds ("Noise" and "Post-Rock"), McLuhan ("Visual and Accoustic Space"), Ola Stockfelt ("Adequate Modes of Listening"), and Kim Cascone ("The Aesthetics of Failure"). Essays at times reference one another (as in Henry Cowell talking about Varèse in "The Joys of Noise"), engage in debate (as in Iain Chambers and Pierre Schaeffer talking about listening), and build upon other’s theory (as in Russo and Warner’s talking about Russolo’s futurist views). The end result is a complete and cohesive treatment of modern music. Anyone who has edited a collection knows that such an outcome is not an easy one to attain, but it is certainly achieved here. Divided into two parts , "Theories" and "Practices," containing three and six sections, respectively, Audio Culture offers essays that address such topics as definitions and approaches to music, modes of listening, electronic reproduction, types of musics, DJ culture, and electronica, to name just a few. Also included with the essays is, as suggested previously, an abundance of reference material, from a Chronology of modern music, to a Glossary, to Selected Discography and a Selected Bibliography, Notes for Quotations, an Index of Quotations, as well as a general Index. Each section opens with a series of quotes contextualizing the theme or pertaining directly to it. Aldous Huxley’s comment about "the twentieth century" being known as "the Age of Noise" helps to kick off the section on "Music and Its Others: Noise, Sound, and Silence," for example. Each section and chapter contains an introduction by the editors. Introductions for chapters are set apart from the essay by a gray textbox. As one would expect about a book on music, no images are included. But it may seem strange to many readers that no CD-ROM accompanies it either. This weakness is the only one this reviewer can find in a book that otherwise packs so much muscle. 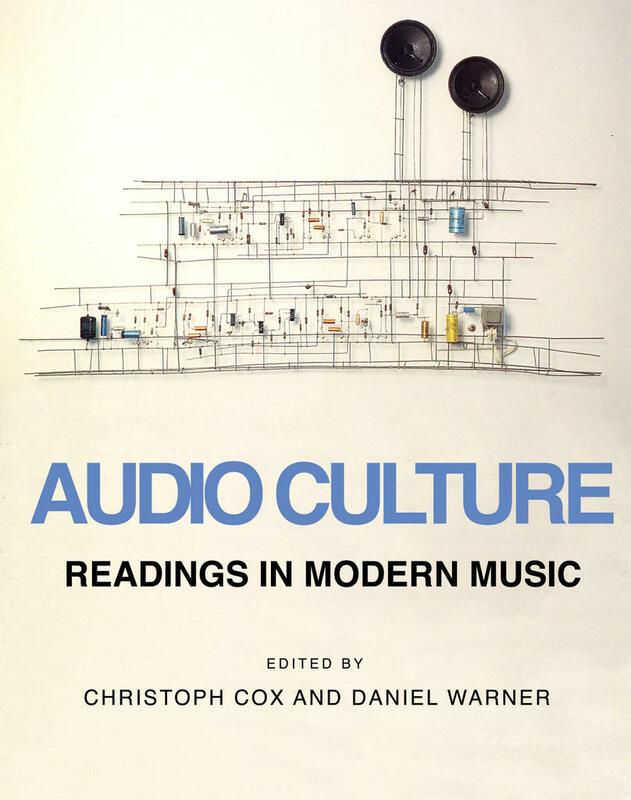 With growing interest in sound on web-based environments and the ease with which to produce it, Cox and Warner’s Audio Culture stands as a must-read for both aspiring artists and music theorists alike. I just came across this mention of my review of your book. I was exaggerating when I said I loved it. Good work. I meant that I was NOT exaggerating.